Kanawha – Zach Farnsworth 6, Zane Kirk 14, Bowen Rader 8, Preston Randolph 2, Mathias Williams 8. Williamstown – Asher Fenton 10, Wyatt Powell 4, Tyler Keiser 4, Jenner Burge 3, Carson Haines 2. Madison – Quinton Wilson 10, Ian Cunningham 1, Sutton Stanley 22. Greenmont – Sam Heaney 2, Chandler Jackson 5, Tyler Cameron 9, Jack McLean 4, Nick Beane 2, Conner Zecca 2, Noah Brown 4, Brayden Lotton 2. Greenmont – Chandler Jackson 1, Jack McLean 4, Nick Beane 4, Alijah Andrews 2. Kanawha – Zach Farnsworth 10, Zane Kirk 14, Bowen Rader 4, Preston Randolph 6, Logan Ruble 2. Madison – Quinton Wilson 9, Ian Cunningham 2, Sutton Stanley 3. Williamstown - Asher Fenton 8, Mason Mercer 6, Tyler Keiser 2, Wyatt Powell 5. Mineral Wells - Austin Perry 2, Taj Joyce 5, Kolten Persinger 8, Chase Offenberger 1, Peyton Cline 1, Xavier St. Andy 1. Greenmont. - Chandler Jackson 9, Tyler Cameron 4, Jack McLean 6, Nick Beane 1. Vienna - Joss Moellendick 1, Branson Lott 14. Madison - Quinten Wilson 9, Ben Morris 2, Dre Bedgood 2, Kaiden Skinner 4, Sutton Stanley 9, Ian Cunningham 2. Criss - Jacobi White 2, Luke Anderson 2, Logan Blasingame 1, Cole Freeman 2, Aiden Matthews 4, Blaze Efaw 2. Kanawha – Bowen Radar 4, Zach Farnsworth 10, Preston Randolph 7, Zane Kirk 6, Zane McHenry 2, Tony Herrera 2, Luke Eagle 4, Blake Claudio 1, Cayden Miller 4, Jackson Hendershot 2, Zane McHenry 2, Logan Ruble 1. Worthington – Zavier Alaniz 4, Mosiah Cottrill 2. Mineral Wells - Taj Joyce 10, Chase Offenberger 2, Kolten Persinger 6, Peyton Cline 1, Austin Perry 4, Xavier St. Andy 2.Blennerhassett - Harry Silvis 14, Derek Hill 5, Tyler Shahan 1, Eli Davis 2, Braxton Byrd 2. Martin – Austin Jenkins 2, Greyson Board 8, Elijah Wolfe 2, Cole Smith 2. Worthington - Collin Hayes 6, Xavier Alan is 9, Mosiah Cottrill 5, Ashton VonVille 4, Chace Curry 1. North - Oliver Cartwright 8, Trent Lawrentz 4, Andrew Francsico 2, Ashton Peeples 6. Madison - Quinton Wilson 9, Sutton Stanley 10, Ian Cunningham 7, Kaiden Skinner 2, Dre Bedgood 4, Tryston Davis 2, Xavier Graeber 2, Joseph Graziani 1, Jacob Duranti 2. McKinley - Jason Thomas 3, Jeremiah Loscar 2, T.J. Least a 2, Leland Rader 2, Sawyer Walker 2, Gunner Loscar 2, Slaton Davis 4, Ethan Jones 4. Criss - Logan Blasingame 13, Luke Anderson 5, Ayden Matthews 3, Jacob White 3, Brayden Starches 2, Tyler Bell 2. WCC - Jude Bills 2, Cameron Coppernoll 5, Andrew Seigneur 1, Caleb Coppernoll 2, Zach Byrd 2, Isaac Sheppard 2. Emerson - Connor Elkins 3, Sylas Cheuvront 3, Cale Stutler 4, Cole Susk 2, Noah Carpenter 2. Gihon - Caiden Polinsky 2, Logan Graham 4, Kaedon Sees 3, Carter Lockhart 4, Drew Blough 6, Cam Fallon 4, Eli Johnson 1, Ethan Sands 4, Alex Pierotti 2. P. Christian - Isaac Nazwlrod 2, Cayden Nelson 2, Wade Piggott 2, Gabriel Nazelrod 1, Wesley Amos 2. Neale - Chaz Elam 4, Ayden White's 10, Mckendrick Allman 2, Dylan Burdette 8, Levi Morr 1, Peyton Underwood 2. Fairplains - Derrick Riggs 2, Drew VanFossen 2. Mineral Wells – Taj Joyce 8, Chase Offenberger 4, Austin Perry 10, Ben Howell 2, Peyton Cline 2, Kolten Persinger 6, Trevor Carson 6, Brayden Stone 6, Alex Morgan 6. Franklin – Kaleb Hall 7, Michael Delaney 2. Catholic – Evan Murphy 4, Dominic Strcula 4, Carter Nelson 4, Anthony Discini 4, Seth Menarchek 4. McKinley - Ethan Jones 7, Gunner Loscar 3, Jason Thomas 12, TJ Presta 7, Jeremiah Loscar 2. Jefferson - Preston Willis 12, Kris Stevens 2, Brayden Arthur 9, Braden Keffer 2. WCC - Cameron Coppernoll 13, Andrew Seigneur 6, Caleb Coppernoll 2. Waverly - Tyler Coleman 4, Andrew Fink 4, Uriah Coleman 3, Isaac Beall 3, Austin McDonald 2, Jackson Kerr 2. Vienna – Brady Thorn 13, Branson Lott 13, Isaac Ambrose 6, Joss Moellendick 8. Madison – Sutton Stanley 13, Quinten Wilson 11, Ian Cunningham 7, Kaiden Skinner 4, Dre Bedgood 3, Ben Morris 2, Xavier Graeber 2. Jefferson – Preston Willis 8, Braden Keffer 6, Kris Stevens 4, Brayden Arthur 2, AJ Hendershot 2. Emerson – Kegan Nutter 2, Cale Stutler 4, Quantrell Webb 2, Sylas Cheuvront 7. Lubeck – Gavin Fling 4, Craig Deem 4, Channing Barrett 2, Bryce Hathaway 2, Easton Walker 2. Kanawha – Zane Kirk 8, Mathias Williams 12, Preston Randolph 3, Zach Farnsworth 5, Bowen Rader 5, Blake Claudio 2, Zach Cunningham 2. Gihon – Cam Fallon 8, Carter Lockhart 4, Drew Blough 6, Logan Graham 4. Neale – Chaz Elam 1, Ayden Whited 6, Dillon Burdette 11, Kendrick Allman 3. Worthington – Xavier Alaniz 17, Mosiah Cottrill 6, Chase Curry 10. Fairplains – Drew Vanfossen 6, Dedrick Riggs 6, Jackson Carroll 6, Jake Riel 4. Blennerhassett – Braxton Byrd 2, Derek Hill 8, Harry Silvis 8. Mineral Wells – Taj Joyce 16, Chase Offenberger 8, Austin Perry 2, Peyton Cline 2, Trevor Carson 3. Jefferson – Preston Willis 10, AJ Hendershot 2, Kingston James 2, Kris Stevens 2. Greenmont – Sam Heaney 6, Chandler Jackson 4, Carter Thorpe 2, Tyler Cameron 2, Nick Beane 8, Connor Zecca 7, Wesley Durkin 2, Toby Thompson 6. Franklin – Kaleb Hall 2, Robert Gregory 2. Vienna – Brady Thorn 11, Branson Lott 6, Isaac Ambrose 4, Joss Moellendick 1, Corbin Kupfner 2, Slade Powell 4, Tyrell Miller 2, Giuseppe Scotto Rinaldi 4. Emerson – Cole Stutler 6, Sylas Cheuvront 4. Emerson- Cale Stutler 4, Noah Carpenter 2, Quantrell Webb 4, Hunter Leavitt 1, Sylas Cheuvront 4. 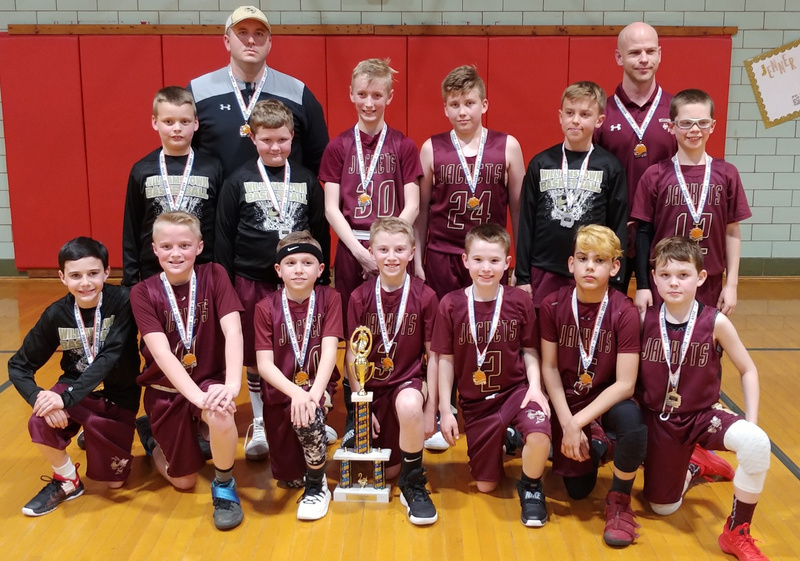 Kanawha – Zane Kirk 11, Mathias Williams 2, Zach Farnsworth 4, Bowan Rader 4, Zane McHenry 2, Alex Ware 1, Logan Ruble 2, Blake Claudio 2, Cayden Miller 2, Landon Allman 4. Lubeck – Charles Williams 2, Bryce Hathaway 4, Channing Barrett 2, Craig Deem 2, Gavin Fling 5, Houston Wright 2. Vienna – Brady Thorn 6, Branson Lott 13, Braxton Kupfner 4, Joss Moellendick 5, Branson Forshey 2, Tyrell Miller 4, Drey Grinter 2. Neale – Rex Ashcroft 2, Chaz Elam 3, Ayden Whited 6, Dillon Burdette 10, Brice Myers 1. McKinley – Jaxon Thomas 4, TJ Presta 6, Gunner Loscar 5, Ethan Jones 3. Worthington – Ashton VonVille 2, Chace Curry 6, Mosiah Cottrill 2, Xavier Alaniz 7. Martin – Tristyn Squires 6, Greyson Board 8, Cayden Gibson 2, Aiden Peterson 4, Garrett Cline 2, Jase Rake 2, Levi Barnes 2. Franklin – Kaleb Hall 5. Criss – Aiden Matthews 7, Luke Anderson 6, Cole Freeman 2, Jaxon Myers 4, Logan Blasingame 2, Blaze Efaw 2, Tyler Bell 2, Evan Lott 2. Fairplains – Drew VanFossen 6, Dedrick Riggs 5. Williamstown – Tyler Keiser 8, Asher Fenton 4, Jenner Burge 5, Carson Haines 2. 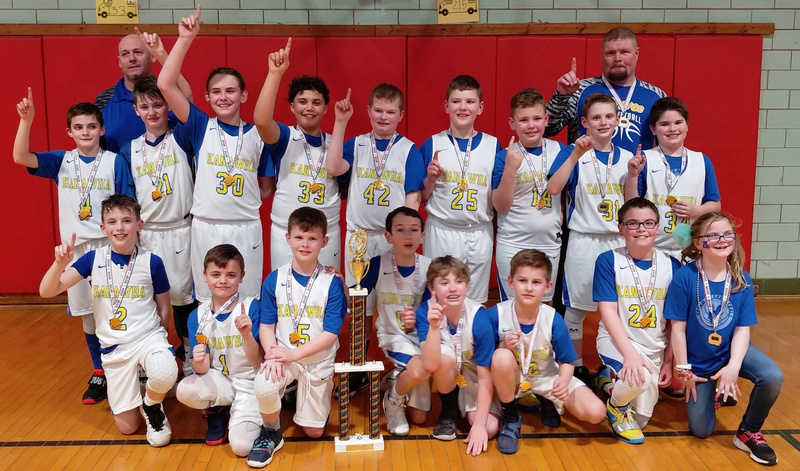 Criss – Bradyn Starcher 4, Luke Anderson 10, Jaxon Myers 2, Logan Blasingame 4, Aiden Matthews 5, Cole Freeman 4, Jacobi White 4, Tyler Bell 2, Chase White 2. North – Oliver Cartwright 4, Andrew Francisco 4, Ashton Peeples 3, Trent Lawrentz 2, JoJo Wilson 1. P. Christian – Wesley Amos 6, Issac Nazelrod 2. Franklin – Kaleb Hall 2. McKinley – Lelend Rader 2, Jerry Loscar 5, Gunner Loscar 4, TJ Presta 6, Ethan Jones 5. Catholic – Carter Nelson 2, Dominic Strcula 8, Seth Menarchek 3. Martin – Tristyn Squires 5, Greyson Board 6, Garrett Cline 4, Jase Rake 4, Cayden Gibson 2. WCC – Cameron Coppernoll 8, Andrew Seigneur 6, Josh Ball 3, Zach Byrd 2. Greenmont – Sam Heaney 6, Chandler Jackson 5, Carter Thorpe 2, Jack McLean 4, Nick Beane 12, Connor Zecca 2, Noah Brown 2, Toby Thompson 5. Waverly – Tyler Coleman 4, Jackson Kerr 2, Braden Aliff 3. Franklin – Caleb Joy 2, Kaleb Hall 14, Michael Rogers 1. Gihon – Cam Fallon 12, Carter Lockhart 6, Drew Blough 4, Logan Graham 3. McKinley – Jerry Loscar 4, Ethan Jones 4, Gunner Loscar 11. Emerson – Cale Stutler 4, Quantrell Webb 4, Brady Creech 4, Sylas Cheuvront 17. Catholic – Carter Nelson 2, Evan Murphy 2, Dominic Strcula 4, Seth Menarchek 6. Neale - Rex Ashcroft 2, Chaz Elam 4, Ayden Whited 6, Dillon Burdette 10, Peyton Underwood 2. P. Christian – Natasha Fluharty 2, Wade Piggott 2. Vienna – Brady Thorn 6, Branso Lott 10, Braxton Kupfner 4, Isaac Ambrose 6, Joss Moellendick 5, Branson Forshey 2, Tyrell Miller 2, Drey Grinter 4. Waverly – Tyler Coleman 2, Jackson Kerr 4, Andrew Fink 9, Braden Aliff 2. Kanawha – Zane Kirk 6, Mathias Williams 6, Preston Randolph 2, Zach Farnsworth 2, Bowen Rader 2, Zane McHenry 6, Tony Herrera 2, Logan Ruble 2, Blake Claudio 3, Cayden Miller 8, Jackson Hendershot 3, Alex Ware 2, Landon Allman 2. WC Christian – Andrew Seigneur 3, Cameron Coppernoll 1, Kellen Miller 2, Zach Byrd 2. Jefferson – Kris Stevens 4, AJ Hendershot 2, Preston Willis 2. Madison – Quinton Wilson 19, Sutton Stanley 9, Dre Bedgood 4, Ben Morris 2. Gihon – Cam Fallon 6, Drew Blough 7, Andrew Pierotti 2, Grant Edman 2, Dalton Dennis 2. North – Oliver Cartwright 11, Ashton Peeples 8, Trent Lawrentz 2, Hayden Tunnell 2, Andrew Francisco 2, Cody Eding 3. Lubeck – Derek Sandy 2, Channing Barrett 6, Craig Dean 2, Easton Walker 2, Gavin Fling 7, Cayden Wingrove 1, Bryce Hathaway 5. Emerson – Kegan Nutter 6, Connor Elkins 4, Cale Stutler 6, Logan Rowe 2, Cole Sisk 2, Isaiah Leeson 2, Sylas Cheuvront 10, Noah Carpenter 1. P. Christian – Wade Piggott 2. Greenmont – Sam Heaney 1, Chandler Jackson 10, Tyler Cameron 6, Jack McLean 5. Mineral Wells – Chase Offenberger 4, Austin Perry 4, Xavier St. Andry 2, Taj Joyce 4, Kolten Persinger 2, Alex Morgan 4. Gihon – Cam Fallon 10, Carter Lockhart 4, Drew Blough 9, Logan Graham 3, Alex Pierotti 2. Worthington – Chase Curry 6, Mosiah Cottrill 7, Xavier Alaniz 6, Collins Hayes 2. Martin – Tristyn Squires 6, Greyson Board 1, Cole Smith 1. Criss – Brayden Starcher 6, Luke Anderson 8, Cole Freeman 2, James Lewis 2, Logan Blasingame 10, Aiden Matthews 4. Jefferson – Preston Willis 10, Kris Stevens 4, AJ Hendershot 2, Brayden Arthur 6. Fairplains – Drew Vanfossen 15, Dedrick Riggs 10. Jefferson – Kris Stevens 8, Braden Keffer 12, Taris Miller 2, Preston Willis 2. Mineral Wells – Peyton Cline 4, Taj Joyce 4, Kolten Persinger 4, Austin Perry 8, Alex Morgan 3, Evan Hyson 2, Brayden Stone 4, Trevor Carson 6. Franklin – Caleb Hall 6. Greenmont – Chandler Jackson 5, Tyler Cameron 4, Jack McLean 5, Nick Beane 9, Toby Thompson 2. Blennerhassett – Tyler Shahan 2, Harry Silvis 9, Eli Davis 4. Worthington – Xavier Alaniz 4, Collin Hayes 2, Mosiah Cottrill 2, Ashton VonVille 4, Chase Curry 6. Lubeck – Channing Barrett 4, Gavin Fling 4, Craig Deem 4. Kanawha – Zane Kirk 17, Mathias Williams 3, Preston Randolph 4, Tony Herrera 2, Blake Claudio 2, Cayden Miller 8, Jackson Hendershot 3. Catholic – Dominic Strcula 2, Carson Logston 1. Madison – Quinten Wilson 22, Sutton Stanley 9, Lyndyn Ervin 4, Dre Bedgood 2, Kaiden Skinner 2, Xavier Graeber 2. Waverly – Jackson Kerr 5, Andrew Fink 5, Tyler Coleman 3, Braden Aliff 2, Uriah Coleman 2, Austin McDonald 2, Blake Corbitt 1. Fairplains – Drew Vanfossen 6, Dedrick Riggs 14. Gihon – Cam Fallon 8, Drew Blough 7, Logan Graham 7, Carter Lockhart 6, Logan Edman 1. WCC – Cameron Coppernoll 7, Andrew Seigneur 8, Kellen Miller 2, Zach Byrd 2. Madison – Quinton Wilson 12, Sutton Stanley 8, Drew Bedgood 2, Ben Morris 5, Ian Cunningham 4, Joseph Graziani 4, Xavier Graber 2. Catholic – Carter Nelson 4, Seth Menarchek 2. Mineral Wells – Taj Joyce 12, Chase Offenberger 12, Kolten Pesinger 4, Peyton Cline 2, Trevor Carson 4, Evan Hyson 2. McKinley – Jaxon Thomas 4, TJ Presta 2, Ethan Jones 4. Emerson – Syla Cheuvront 13, Kegan Nutter 6, Cale Stutler 2, Noah Carpenter 2. Waverly – Uriah Coleman 4, Tyler Coleman 2, Jackson Kerr 4, Austin McDonald 2, Andrew Fink 4. Vienna – Brady Thorn 2, Branson Lott 10, Braxton Kupfner 5, Isaac Ambrose 4, Tanner Cancade 2,Giuseppe Scott Rinaldi 2. North – Oliver Cartwright 4, Trent Lawrentz 3, Ashton Peeples 6. Kanawha – Zane Kirk 3, Matthias Williams 4, Preston Randolph 6, Bowan Rader 8, Tony Herrara 6, Zane McHenry 2, Blake Claudio 2. North – Ashton Peeples 4, Oliver Cartwright 6. Madison - Quinten Wilson 17, Sutton Stanley 10, Xavier Graeber 6, Kaiden Skinner 2, Ian Cunningham 2. Blennerhassett - Bryce Bowman 6, Eli Davis 3, Derek Hill 6, Aiden Nicholson 2, Harry Silvis 13. Martin -Greyson Board 1, Jase Rake 4, Cole Smith 1, Cayden Gibson 2. Neale - Rex Ashcroft 2, Chaz Elam 1, Ayden Whited 2, Dylan Burdette 2. Vienna - Brady Thorn 8, Branson Lott 4, Braxton Kupfner 4, Isaac Ambrose 6, Joss Moellendick 2, Holden McComas 3, Karson Gooch 3, Slade Powell 1, Giuseppe Scotto Rinaldi 14. Williamstown – Tyler Keiser 9, Asher Fenton 8, Carson Haines 6, Mason Mercer 1, Jenner Burge 1, Aiden Meeks 1, Gavin Sivard 2, Grant Gorby 2, Isaac Harris 4, Wyatt Siley 4. Criss – Aiden Matthews 1, Bradyn Starcher 3, Luke Anderson 2, Cole Freeman 1, Jaxon Myers 2. Worthington – Xavier Alaniz 15, Collin Hayes 2, Peyton West 1. Emerson – Kegan Nutter 3, Cale Stutler 4, Sylas Cheuvront 10. Blennerhassett – Harry Silvus 12, Derek Hill 10, Eli Davis 2, Bryce Bowman 4, Landon Willison 1. McKinley – Jaxon Thomas 6, Gunner Loscar 2, Ethan Jones 2. Vienna - Brady Thorn 8, Branson Lott 16, Isaac Ambrose 6, Joss Moellendick 3, Branson Forshey 3, Austin Craven 2, Tyrell Miller 4, Giuseppe Scotto-Rinaldi 6. Parkersburg Christian - Wesley Amos 2. Jefferson – Preston Willis 13, Kris Stevens 2, Braden Keffer 4, AJ Hendershot 4, Braden Arther 2. Martin – Tristyn Squires 4, Greyson Board 3, Garrett Cline 2, Jase Rake 1. (one basket made by other team) 2. Lubeck – Cayden Wingrove 9, Houston Wright 2, Gavin Fling 5, Craig Deem 8, Bryce Hathaway 1, Easton Walker 2. Fairplains – Drew Vanfossen 4, Dedrick Riggs 12. 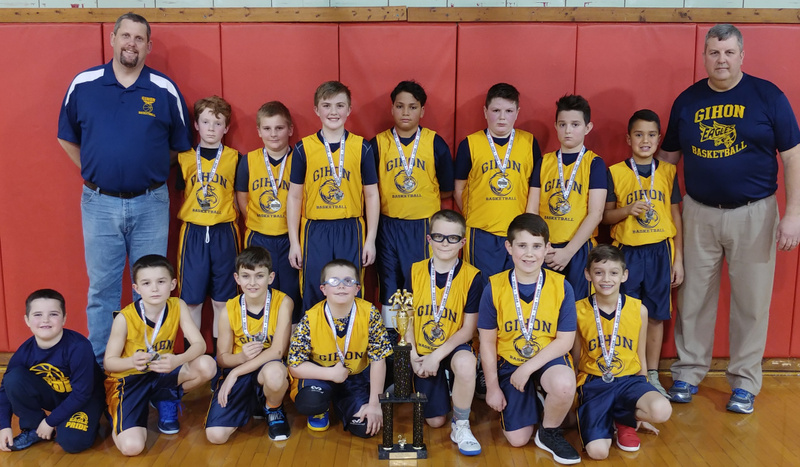 Gihon – Cam Fallon 6, Carter Lockhart 4, Drew Blough 12, Logan Graham 10, Alex Pierotti 6, Ethan Sands 2, Eli Johnson 4, Caiden Polinsky 2, Desmond Eddy 4. Waverly – Tyler Coleman 9, Austin McDonald 2, Isaac Beall 9. Madison - Sutton Stanley 14, Quinten Wilson 12, Dre Bedgood 4, Ben Morris 4. Lubeck - Craig Deem 4, Channing Barrett 3, Houston Wright 2, Gavin Fling 2, Tripp Williams 2. Greenmont – Sam Heaney 2, Chandler Jackson 12, Tyler Cameron 4, Nick Beane 8, Connor Zecca 6, Toby Thompson 1. Catholic – Evan Murphy 2, Ethan Durochia 2, Gabe Rice 2. Worthington – Collin Hayes 4, Xavier Alaniz 15, Mosiah Cottrill 1, Chase Curry 2, JaShawn Honeycutt 2. Waverly – Uriah Coleman 2, Tyler Coleman 2, Jackson Kerr 2, Andrew Rink 4. Williamstown – Tyler Keiser 6, Carson Haines 2, Wyatt Powell 2, Asher Fenton 6, Mason Mercer 6, Jenner Burge 2, Aiden Meeks 4, Grant Gorby 2, Nate Nicely 4, Gavin Sivard 6, Aiden Johnson 2, Wyatt Siley 2. Kanawha – Zach Farnsworth 7, Zane McHenry 6, Blake Claudio 18, Logan Ruble 2, Tony Herrera 2. Jefferson – Kris Stevens 7, Braden Keffer 2, Preston Willis 2, Chance Kirgis 2. Criss – Bradyn Starcher 6, Luke Anderson 9, Cole Freeman 3, Logan Blasingame 3, Jacobi White 2. Mineral Wells – Taj Joyce 5, Chase Offenberger 6, Kolten Persinger 8, Austin Perry 2. Madison - Quinten Wilson 13, Sutton Stanley 12, Dre Bedgood 2, Kaiden Skinner 2, Ian Cunningham 2. Vienna - Brayton Kupfner 7, Brady Thorn 4, Branson Lott 2, Isaac Ambrose 2. Kanawha – Zane Kirk 9, Matthias Williams 8, Bowan Rader 6, Zach Farnsworth 14, Landon Allman 2. Blennerhassett – Harry Silvus 8, Derek Hill 4, Tyler Shahan 2, Eli Davis 2. North – Ashton Peeples 8, Oliver Cartwright 9, Trent Lawrentz 4. Martin – Tristyn Squires 4, Greyson Board 4, Coleton Hill 6, Garrett Cline 1, Jase Rake 3. McKinley – Jaxon Thomas 9, Zamyar Walker 2, Gunner Loscar 6, Slaton Davis 4, TJ Presta 2, Thomas Naylor 6, Ethan Jones 4. P. Christian – Wesley Amos 10. Gihon – Cam Fallon 14, Drew Blough 7, Logan Graham 11, Caiden Polinsky 2. Emerson – Cale Stutler 6, Quantrell Webb 4, Logan Rowe 2, Sylas Cheuvront 4. Fairplains – Dedrick Riggs 15, Kenny Tullius 2, Drew Vanfossen 7. WCC – Cameron Coppernoll 10, Jude Bills 2, Andrew Seigneur 2, Josh Ball 2, Zach Byrd 2. Greenmont - Sam Heaney 2, Chandler Jackson 7, Tyler Cameron 6, Carter Thorpe 4, Jack McLean 10, Alijah Andrews 2, Wesley Durkin 2, Braydon Lotton 2. P. Christian - Izaac Nazelroad 2, Wade Piggott 4, Wesley Amos 2. Worthington – Xavier Alaniz 7, Mosiah Cottrill 2, Chase Curry 4, Ashton VonVille 6. Catholic – Evan Murphy 4, Dominic Strcula 8, Seth Menarchek 2, Carter Nelson 2. North - Oliver Cartwright 9, Trent Lawrentz 2, Ashton Peeples 12, Hayden Tunnell 2. Fairplains - Drew Vanfossen 10, Dedrick Riggs 6, Jackson Carroll 2. McKinley - Jerry Loscar 4, Zamyar Walker 2, Gunner Loscar 7, TJ Presta 6, Thomas Naylor 4, Ethan Jones 6. Franklin - Micheal Rogers 1, Kaleb Hall 8. Waverly – Blake Corbitt 2, Tyler Coleman 4, Andrew Fink 18, Braden Aliff 2, Austin McDonald 2, Issac Beall 5. WCC – Cameron Coppernoll 8, Jude Bills 4, Andrew Seignour 2, Josh Ball 2, Zach Byrd 6. Criss – Aiden Matthews 4, Bradyn Starcher 2, Luke Anderson 13, Logan Blasingame 4, Jaxon Myers 4, Blaze Efaw 4, Parker Reese 4. Martin – Tristyn Squires 4, Grayson Board 4, Coleton Hill 2, Garrett Cline 4, Cayden Gibson 2. Catholic – Dominic Strcula 6, Thibault Chazalet 2, Seth Menarchek 4. WCC – Zach Byrd 2, Cameron Coppernoll 6, Andrew Seigneur 2. North – Oliver Cartwright 10, Trent Lawrentz 2, Ashton Peeples 6, Andrew Francisco 4, Hayden Tunnell 3, Jude Cayton 2. P. Christian – Izaac Nazelrod 2, Natasha Fluharty 2, Wade Piggott 6. North – Ashton Peeples 16, Trent Lawrentz 4. Catholic – Carter Nelson 3, Dominic Strcula 6, Seth Menarchek 4. Mineral Wells – Taj Joyce 9, Kolton Persinger 9. Lubeck – Gavin Fling 11, Channing Barrett 1, Derek Sandy 2, Bryce Hathaway 1. Kanawha – Zane Kirk 12, Mathias Williams 3, Zach Farnsworth 6, Bowen Rader 2, Cayden Miller 6, Blake Claudio 2, Jackson Hendershot 2, Alex Ware 2. Gihon – Cam Fallon 2, Drew Blough 3, Logan Graham 2, Ayden Martin 1, Caiden Polinsky 4. Williamstown – Tyler Keiser 18, Carson Haines 2, Wyatt Powell 8, Asher Fenton 5, Mason Mercer 5, Jenner Burge 4, Aiden Meeks 4, Grant Gorby 4, Gawin Sivard 4, Wyatt Siley 3. Jefferson – Preston Willis 10. Criss – Aiden Matthews 2, Bradyn Stacher 2, Luke Anderson 8, Cole Freeman 3, Jaxon Myers 10, Logan Blasingame 2, Blake Efaw 4. Waverly – Jackson Kerr 2, Andrew Fink 4, Austin McDonald 10. Blennerhassett - Harry Silvus 14, Tyler Shahan 1, Derek Hill 6, Bryce Bowman 2, Colt Scott 1, Cooper Sams 2, Logan Arnold 2, Eli Davis 3. Neale - Peyton Underwood 1, Kendrick Allman 2, Dillon Burdette 2, Ayden Whited 5, Chaz Elam 2. Martin – Tristyn Squires 7, Greyson Board 9, Coleton Hill 2, Garrett Cline 7, Jase Rake 2. Fairplains – Drew Vanfossen 15, Dedrick Riggs 9. Kanawha – Zane Kirk 14, Mathias Williams 5, Zach Farnsworth 12, Preston Randolph 3, Logan Ruble 2, Zach Cunningham 2. Vienna – Brady Thorn 1, Branson Lott 6, Isaac Ambrose 4, Joss Moellendick 3. Worthington – Xavier Alaniz 11, Mosiah Cottrill 4, Chase Curry 4, Jackson Roe 2, Ashton VonVille 6. P. Christian – Natasha Fluharty 2, Wade Piggott 11, Wesley Amos 6. North – Oliver Cartwright 7, Trent Lawrentz 2, Ashton Peeples 6, Hayden Tunnell 2, Andrew Francisco 4. Waverly – Andrew Fink 5, Uriah Coleman 3, Issac Beall 9. Neale – Rex Ashcraft 8, Chaz Elam 5, Dillon Burdette 4, Ayden Whited 5. WCC – Cameron Coppernoll 16, Kellen Miller 2. Mineral Wells – Taj Joyce 10, Chase Offenberger 2, Kolton Persinger 14, Alex Morgan 2. Gihon – Cam Fallon 4, Drew Blough 6, Logan Graham 4, Alex Pierotti 1, Carter Lockhart 4. North – Oliver Cartwright 10, Ashton Peeples 6, Trent Lawrentz 6, Andrew Fancisco 2. McKinley – Jaxon Thomas 8, Gunner Loscar 8, T.J. Presta 2, Ethan Jones 4. Catholic – Carter Nelson 8, Evan Murphy 6, Domenic Strcula 8, Seth Menarchek 4. Martin – Tristyn Squires 12, Coleton Hill 8, Garrett Cline 2, Bracton Douglas 2. Waverly – Uriah Coleman 6, Tyler Coleman 12, Jackson Kerr 8, Andrew Fink 8, Issac Beall 4. Fairplains – Drew VanFossen 6, Jackson Carroll 2, Brayden Flanagan 2. Williamstown – Tyler Keiser 4, Carson Haines 6, Wyatt Powell 6, Asher Fenton 9, Aiden Meeks 2, Aiden Johnson 2, Isaac Harris 4. Lubeck – Gavin Fling 2, Cayden Wingrove 2, Houston Wright 2, Logan McVey 1, Charles Williams 1. Greenmont – Jack McLean 1, Nick Beane 11, Noah Brown 2, Wesley Durkin 2, Tyler Cameron 2, Chandler Jackson 10, Toby Thompson 6. WCC – Cameron Coppernoll 4, Koa Navarro 2, Zach Byrd 2. Criss – Aiden Matthews 6, Bradyn Starcher 6, Cole Freeman 5, James Lewis 4, Jaxon Myers 6, Tyler Bell 1. P. Christian – Wade Piggott 4, Izaac Nazelrod 7, Natasha Fluharty 2. Madison - Quinten Wilson 15, Sutton Stanley 6, Dre Bedgood 3, Kaiden Skinner 2, Ian Cunningham 8. Neale - Ayden Whited 6, Easton Miller 2. Greenmont – Sam Heaney 4, Jack McLean 8, Nick Beane 10, Noah Brown 2, Toby Thompson 2. North – Oliver Cartwright 7, Trent Lawrentz 1, Ashton Peeples 4. Worthington – Collin Hayes 6, Xavier Alaniz 6, Chase Curry 2, Ashton VonVille 2, Thomas Lindenmuth 4. Franklin – Kaleb Hall 12. Martin – Cayden Gibson 4, Cale Smith 2, Jase Rake 2, Tristyn Squires 2, Greyson Board 2, Coleman Hill 5. Park. Christian – Wesley Amos 2, Natasha Fluharty 2. Gihon – Cam Fallon 9, Carter Lockart 2, Drew Blough 6, Logan Graham 6. Lubeck – Craig Deem 4, Channing Barrett 3, Derek Sandy 6, Bryce Hathaway 6, Easton Walker 2. Williamstown – Tyler Keiser 6, Asher Fenton 2, Carson Haines 8, Wyatt Powell 6, Mason Mercer 4 Aiden Meeks 2, Grant Gorby 2, Gavin Sivard 4, Isaac Harris 2. Emerson – Kegan Nutter 3, Jacob Thomas 6, Cale Stutler 2, Natavion Robinson 2, Sylas Cheuvront 3. Vienna – Brady Thorn 7, Branson Lott 11, Braxton Kupfner 2, Isaac Ambrose 6, Tanner Cancade 2, Joss Moellendick 1, Holden McComas 2. Jefferson – Preston Willis 5, Kris Stevens 6, Taris Miller, Isaiah Bee 1, Braylon Wolford 2. Williamstown – Tyler Keiser 9, Asher Fenton 2, Carson Hines 4, Wyatt Powell 6, Mason Mercer 1, Jenner Burger 4, Grant Gorby 1, Wyatt Siley 4, Isaac Harris 2. Mineral Wells – Chase Offenberger 8, Xavier St. Andry 2, Kolton Persinger 2, Peyton Cline 2, Dustin Perry 2. Catholic – Carter Nelson 7, Seth Menarchek6, Carson Logston 2, Michael Tahbaz 2. Fairplains – Kenny Tullius 2, Dedrick Riggs 2, Jackson Carroll 3, Drew VanFossen 8. Kanawha – Zane Kirk 13, Mathia Williams 6, Zack Farnsworth 7, Preston Randolph 4, Zane McHenry 3, Cayden Miller 2, Blake Claudio 4, Logan Ruble 2. Neale – Hyland Garvey 2, Ayden Waital 3, Rex Ashcraft 4. Criss – Aiden Matthews 4, Bradyn Starcher 2, Luke Anderson 4, Cole Freeman 2, Jacobi White 4, Logan Blasingame 4, Tyler Bell 6. McKinley – Jaxon Thomas 4, Zamyar Walker 2, Gunner Loscar 2, Slaton Davis 2, TJ Presta 6, Ethan Jones 1. Waverly – Uriah Coleman 4, Tyler Coleman 2, Andrew Fink 10, Austin McDonald 4, Issac Beall 2. Franklin – Caleb Joy 2, Kaleb Hall 8. Madison – Quentin Wilson 19, Sutton Stanley 8, Dre Bedgood 4, Kaiden Skinner 3, Xavier Graeber 2. Emerson – Jacob Thomas 6, Cale Stutler 2, Syla Cheuvront 6, Logan Rowe 2. Martin – Tristyn Squires 3, Greyson Board 3, Coleton Hill 2, Garrett Cline 4, Jase Rake 1. McKinley – Ethan Jones 4, Jaxon Thomas 2, Gunner Loscar 4. Worthington - Collin Hayes 2, Xavier Alaniz 10, Mosiah Cottrill 4. WCC - Cameron Coppernoll 10, Jude Bills 2, Kellen Miller 2. Gihon – Cam Fallon 6, Carter Lockhart 4, Drew Blough 1, Logan Graham 2. Vienna – Brady Thorn 4, Branson Lott 9, Braxton Kupfner 5, Tanner Cancade 2, Joss Moellendick 4. Lubeck – Channing Barrett 2, Easton Walker 4, Houston Wright 2, Craig Deem 3. Blennerhassett – Harry Silvis 18, Eli Davis 6, Derek Hill 3, Bryce Bowman 2, Colt Scott 2. Mineral Wells – Zavier St. Andry 2, Taj Joyce 4, Chase Offenberger 5, Kolten Persinger 2. WCC – Cameron Coppernoll 4, Jude Bills 2, Andrew Seigner 6, Kou Navarro 2, Josh Ball 6, Kellen Miller 6, Zach Byrd 4. North – Oliver Cartwright 15, Ashton Peeples 9, Hayden Tunnell 2, Andrew Francisco 4. Worthington – Xavier Alaniz 10, Ashton VanVille 4. Greenmont – Chandler Jackson 5, Tyler Cameron 6, Jack McLean 5, Nick Beane 5. Criss – Brayden Starcher 2, Luke Anderson 9, Jacobi White 2, Jaxon Myers 1, Logan Blasingame 2. 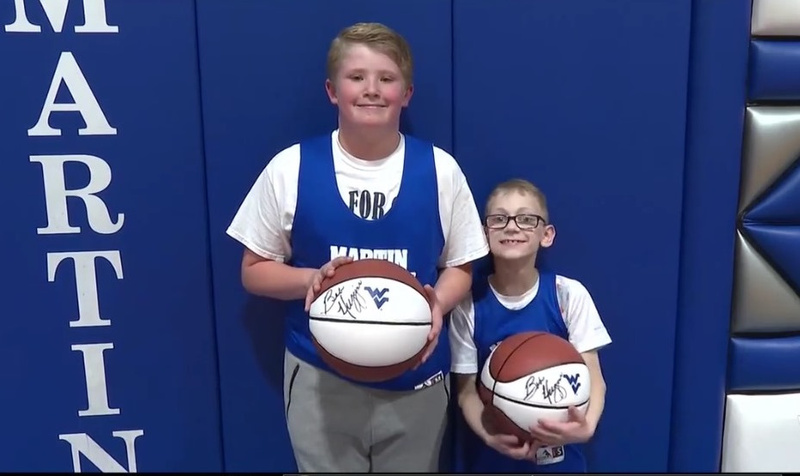 Fairplains – Dedrick Riggs 11, Drew Vanfossen 12. P. Christian – Wesley Amos 6, Wade Piggot 4. Mineral Wells – Taj Joyce 8, Chase Offenberger 4, Kolton Persinger 8, James Thompson 2, Peyton Cline 4, Xavier St. Andry 2. Neale – Hyland Garvey 2, Dillon Burdette 6, Rex Ashcroft 2. Blennerhassett – Eli Davis 4, Derek Hill 4, Harry Silvis 18, Jaxon Bradley 2, Colt Scott 2, Bryce Bowman 3, Aiden Nicholson 2, Caden Burnside 1. Jefferson – Preston Willis 8, Aayden Thorne 2, Brayden Auther 4, Jayden Walker 2. McKinley – Jaxon Thomas 3, Jerry Loscar 2, Christian Brooks 2, Slaton Davis 2, Gunner Loscar 8, Ethan Jones 4. Fairplains – Dedrick Riggs 2, Drew Vanfossen 2. Waverly – Tyler Coleman 4, Andrew Fink 7, Austin McDonald 2, Isaac Beall 2. P. Christian – Izaac Nazelrod 6, Cayden Nelson 3. Greenmont – Jack McLean 9, Chandler Jackson 13, Toby Thompson 5, Tyler Cameron 3, Nick Beane 4, Carter Thorpe 2, Connor Zecca 2. Martin – Tristyn Squires 2, Greyson Board 9, Colten Hill 1, Garrett Cline 2. North – Ashton Peeples 12, Oliver Cartwright 10, Trent Lawrentz 3. WCC – Cameron Coppernoll 10, Zach Byrd 1. Williamstown – Tyelr Keiser 18, Asher Fenton 2, Carson Haines 7, Wyatt Powell 5, Jenner Burge 2, Isaac Harris 2. Madison – Quinten Wilson 14, Sutton Stanley 5, Dre Bedgood 2. Kanawha – Mathias Williams 12, Preston Randolph 4, Bowan Radar 4, Zach Farnsworth 4, Alex Ware 2, Cayden Miller 2, Blake Claudio 1. Emerson – Jacob Thomas 6, Elias Cheuvront 2, Quantrell Webb 2, Cale Stutler 2. Vienna – Brayden Thorn 17, Branson Lott 12, Braxton Kupfner 2, Isaac Amrose 3, Tanner Cancade 2, Austin Craven 2. Gihon – Cam Fallon 10, Drew Blough 4, Logan Graham 4, Kavell Robinson 6. Catholic – Dom Strcula 10, Evan Murphy 2, Michael Tahbaz 2, Seth Menarchek 4, Carter Dawson 2, Anthony Discini 2, Cameron Keller 6, Brody Kasun 2. Franklin – Caleb Joy 1. Blennerhassett – Harry Silvis 16, Eli Davis 4, Derek Hill 5, Jaxon Bradley 2. Lubeck – Channing Barrett 4, Bryce Hathaway 6, Cayden Wingrove 2, Craig Deem 2, Easton Walker 2. Mineral Wells – Taj Joyce 7, Chase Offenberger 8, Alex Morgan 2, Kolton Persinger 4, Xavier St. Andry 2, Austin Perry 2. Emerson – Jacob Thomas 8, Quantrell Webb 2, Hunter Leavitt 1, Logan Rowe 4, Cale Sutler 1. Criss – Aiden Matthews 5, Bradyn Starcher 2, Luke Anderson 12, Jaxon Myers 1, Logan Blasingame 4, Jacobi White 2, Cole Freeman 2, Tyler Ball 2. Worthington – Xavior Alaniz 8, Mosiah Cottrill 2, Ashton VanVille 4, Kohetta Lynch 2. Neale - Rex Ashcroft 6, Ayden Whited 9, Dillan Burdette 4, McKendrick Allman 2, Hyland Garvey 2, Peyton Underwood 4. Criss – Aiden Matthews 2, Bradyn Starcher 4, Luke Anderson 5, Jacobi White 2, James Lewis 4, Jackson Myers 1, Logan Blasingam 3, Tyler Bell 4. WCC – Cameron Coppernell 4, Andrew Seigneur 7, Josh Ball 3, Jude Bills 2, Zach Byrd 2. Waverly – Tyler Coleman 6, Andrew Fink 6, Issac Beall 7, Uriah Coleman 2, Austin McDonald 2. McKinley – Jaxon Thomas 8, Thomas Naylor 4, Ethan Jones 1, Declan Ferrell 2. Worthington – Collin Hayes 1, Zavior Alaniz 2, Mosiah Cottrill 6, Chase Curry 5. Martin – Tristyn Squires 4, Jase Rake 2, Colten Hill 1, Greyson Board 1. 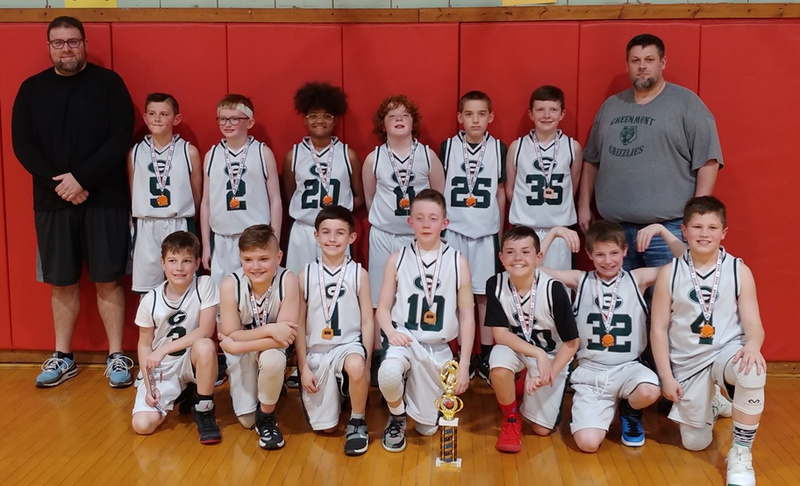 Greenmont – Sam Heaney 4, Chandler Jackson 3, Carter Thorpe 4, Tyler Cameron 10, Nick Beane 2, Alijah Andrews 3, Noah Brown 2, Brayden Lotton 2, Jack McLean 4. Fairplains – Dedrick Riggs 2. Vienna – Brady Thorn 2, Branson Lott 2, Braxton Kupfner 1, Holden McDomas 2, Drey Grinter 2. Kanawha – Zach Farnsworth 11, Preston Randolph 12, Mathias Williams 13. Madison – Quinten Wilson 6, Sutton Stanley 8. Madison – Quinten Wilson 11, Sutton Stanley 13, Dre Bedgood 4, Tryston Davis 2. Mineral Wells – Taj Joyce 8, Chase Offenberger 4, Kolton Persinger 4. Blennerhassett – Bryce Bowman 6, Braxton Byrd 4, Derek Hill 3, Harry Silvus 14, Eli Davis 2, Caden Burnside 1. Gihon – Cam Fallon 11, Drew Blough 3, Logan Graham 2, Kavell Robinson 2. Emerson – Conner Elkins 2, Jacob Thomas 6, Cale Stutler 2, Elias Cheuvront 12. Jefferson – Preston Willis 9, Kris Stevens 2, Taris Miller 2. Franklin – Kaleb Hall 8. Lubeck – Chenning Barrett 2, Gavin Fling 2, Derek Sandy 2, Bryce Hathaway 1, Easton Walker 4, Cayden Wingrove 4. Neale – Ayden Whited 2, Dillon Burdette 8, Kendrick Allman 4. Catholic - Dom Strcula 5, Seth Menarchek 2, Evan Murphy 2. P. Christian - Isaac Nazelroad 4. Williamstown (18-0) – Lynken Joy 14, Parker Schramm 9, Jayden Bryant 6, Carson Hill 4, Brody Bowyer 4, Julian Johnson 2. Gihon (14-4) – Devon Forshey 4, Landon Utt 6, Cam Fallon 4. Kanawha (16-2) – Isaac Dailey 4, Zane Lewis 3, Gauge Delancey 2, Zane Kirk 15, Christian Haught 2. Blennerhassett (12-6) – Lucas Jenkins 2, Carter McLain 4, Ty Davis 4. Gihon – Brant Butcher 4, Devon Forshey 5, Landon Utt 14, T.J. Thomas 6, Cam Fallon 3. Kanawha – Isaac Dailey 14, Zane Lewis 2, Zane Kirk 12, Christian Haught 1, Zach Farnsworth 2. 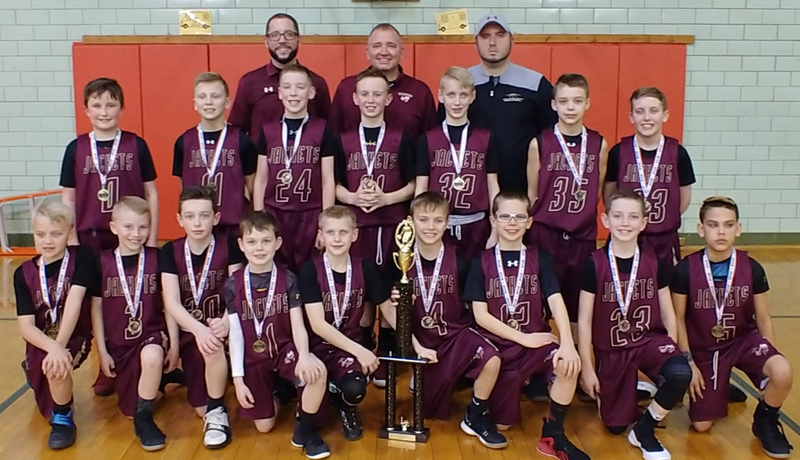 Williamstown – Lynken Joy 12, Parker Schramm 6, Will Coiner 6, Jayden Bryant 2, Carson Hill 4, Aiden Meeks 2, Julian Johnson 2, Cooper Martin 2. 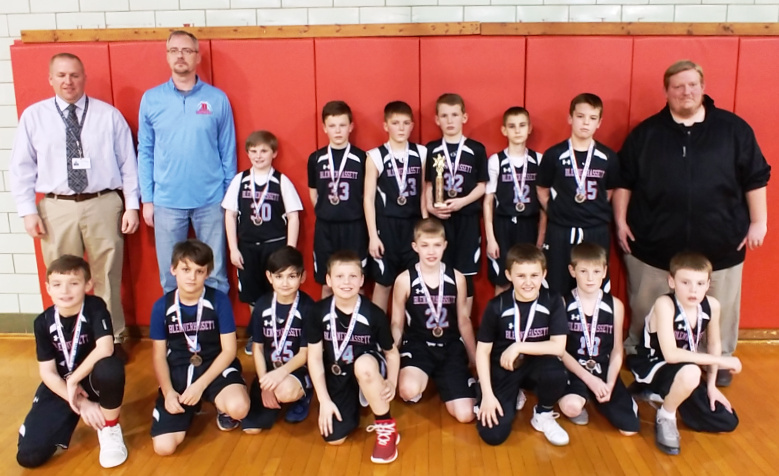 Blennerhassett – Lucas Jenkins 2, Carter McLain 4, Ty Davis 2, Aiden Nicholson 2. Gihon – Devon Forshey 10, Landon Utt 6, Cam Fallon 6, T.J. Thomas 5, Brent Butcher 2, Logan Graham 2, Carter Lockhart 1. Vienna – Noah Frazier 2, Avery Matteson 6, Cooper Cancade 6. Kanawha – Isaac Dailey 8 – Zane Lewis 11, Zane Kirk 8, Gauge Delancey 2, Blake Claudio 1, Guy Bradley 2. Neale – Gaber Go 6, Peyton Lewis 2, Christian Rutherford 2, Emmanuel Tewdros 5. Blennerhassett – Ty Davis 19, Lucas Jenkins 3, Carter McLain 8, Scott Bailey 2. Madison – Quinton Wilson 7, Luke Davis 5, Jayden Fluharty 2, Sutton Stanley 7, Zach Wigal 1. Williamstown – Parker Schramm 6, Brady Bowyer 2, Cooper Martin 2, Carson Hill 4, Lynken Joy 8, Will Coiner 1, Jayden Bryant 2. Mineral Wells – Austin Conley 3, Conner McMullen 6, Kayden Marshall 4, Taj Joyce 3. Vienna – Noah Frazier 8, Cooper Cancade 4, Isaac Ambrose 2, Brady Thorn 1, Branson Lott 4. 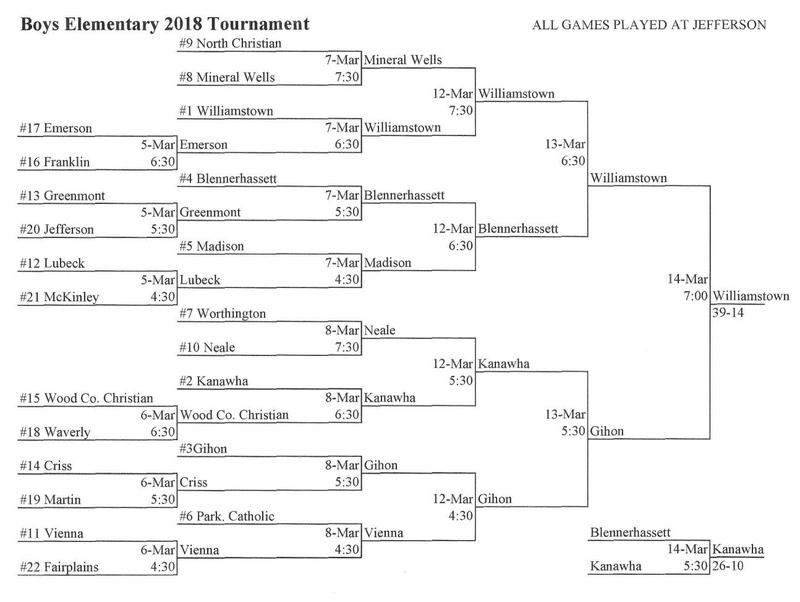 Catholic – Dominic Strcula 2, Conner Zecca 2, Cruz Isaly 4, Ian Galloway 10. Gihon – Brant Butcher 2, Devon Forshey 8, Landon Utt 4, T.J. Thomas 5, Cam Fallon 6. Criss – Aiden Matthews 2, Luke Anderson 2, Darius Jones 8, Landon Dunn 2, Cole Freeman 2. Kanawha – Isaaac Dailey 17, Preston Randolph 3, Zane Lewis 9, Zane Kirk 2, Alex Ruble 2, Christian Haught 4. WCC – Harry Silves 10, Elijah Christman 2, Jonah Bosgraf 1. Neale – Peyton Davis 7, Christian Rutherford 6, Ayden Whited 5, Emmanuel Tewdros 4, Gabe Go 10. Worthington – Xavior Alaniz 4, Brandon Gray 2, Collin Hayes 2, Caleb Lindenmuth 8. Madison - Luke Davis 5, Quinton Wilson 9, Jaydon Fluharty 2, Sutton Stanley 1, Aiden Cremeans 2, Bryce Willis 1, Zack Wigal 5. Lubeck - Kieran Daniel 2, Mason Nutter 3, Nicho Rowland 6, Logan Fling 5, Dylan Holiday 2. Blennerhassett - Ty Davis 8, Carter McLain 15, Lucas Jenkins 2, Scott Bailey 2. Greenmont – Zayden Newell 2, Josh Wallace 4, Derick Marshall 2, J.D. Pauley 2, Ethan Jones 2. Williamstown - Brody Bower 2, Aiden Meeks 4, Julian Johnson 2, Gavin Hill 2, Asher Fenton 2, Wyatt Powell 4, Lynken Joy 11, Mason Mercer 4, Parker Schramm 6, Will Coiner 2, Jayden Bryant 2, Carson Hill 4. Emerson - Quinton Wright 2, Ty Street 2, Kegan Nutter 2. Mineral Wells – Tyson Wagoner 2, Brady Allman 2, Conner McMullen 6, Austin Conley 4, Drew Blough 2, Taj Joyce 3. North – Oliver Cartwright 2, Landyn Summers 1, Ryan Owens 4, Jacob Francis 5. Vienna - Brady Thorn 1, Gavin Ranson 2, Kaiden Dulaney 2, Branson Forshey 2, Branson Lott 2, Noah Frazier 15, Cooper Cancade 2, Isaac Ambrose 4. Fairplains - Ethan Goodnight 5, Jason Hodgson 2. Criss - Cole Freeman 2, Luke Anderson 10, Darius Jones 4, Jaxon Myers 2, Adam Elder 2, Brayden Starcher 2, Landon Dunn 4. WCC – Harry Silves 11, J.J. Dimit 6, Jonah Bosgraf 2, Elijah Christman 6, Cooper Billingsley 2, Andrew Seigneur 3, Braeyn Joseph 2. Waverly – Caiden Perkins 4, Isaac Beall 3, Uriah Coleman 2, Ryker Hutchinson 1, Andrew Fink 2. Emerson - Quinton Wright 18, Carson Brundige 2, Ty Street 6, Gabe Gibson 4, Liam Guns 1, Jacob Thomas 2. Franklin – Devin Andrews 2, Gage Coull 8, Braden Coleman 2, Landon Henthorn 4. Lubeck - Aenas Alderman 2, Wyatt Curfman 2, Cayden Wingrove 2, Keiran Daniel 6, Gavin Fling 2, Mason Nutter 9, Channing Barrett 3, Nicho Rowland 6, Bryce Hathaway 5, Coen Daniel 10, Dylan Holiday 2. McKinley - Jason Thomas 4. Greenmont - Wesley Durkin 2, Josh Wallace 2, Deric Marshall 2, Zaden Newell 7, Jackson Wharton 15, Jack McLean 2. Jefferson - Rivion Grim 6. 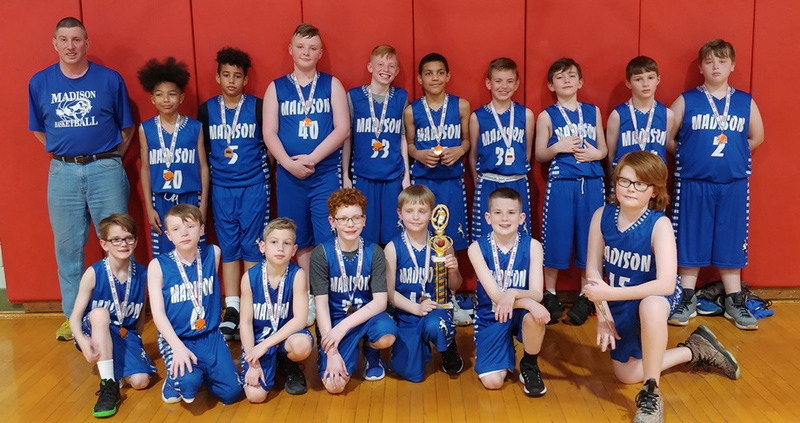 Madison – Quinton Wilson 14, Luke Davis 5, Jayden Fluharty 3, Zach Wigal 4, Sutton Stanley 2, Aiden Cremeans 3. Neale – Christian Rutherford 2, Peyton Davis 2, Manny Tewdros 9, Gabriel Go 9. Kanawha – Isaac Dailey 8, Zane Lewis 6,Christian Haught 2, Preston Randolph 1, Zane Kirk 11,Guy Bradley 4, Zack Farnsworth 2. Lubeck – Kieran Daniels 13, Dylan Holiday 3, Nicho Rowland 6, Wyatt Curfman 2.